When divorcing partners have children, figuring out various matters associated with child custody will be a crucial part of the divorce proceedings. In some cases, soon-to-be exes may be able to come to an agreement over how custody will be shared and whether/how much child support will be paid to one of the spouses. While this is ideal, it is not always possible, particularly when the soon-to-be ex-spouses are embroiled in contentious divorce proceedings. 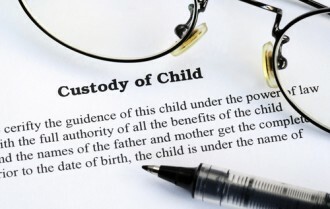 Are you about to go through a child custody case in Colorado? If so, check out these FAQs to learn more about what you can expect from the process. If you are dealing with child custody issues and have some questions about what to expect, check out these FAQs. For more specific information and professional advice regarding your case, contact the Centennial divorce and family law attorneys at Bahr and Kreidle. Q: Will the child’s mother be more likely to get custody than the father? A: In Colorado, as in many other states, the laws regarding custody are gender-neutral, which means that the gender of a parent is not specifically considered when making determinations regarding custody. What is considered, however, is which parent has taken on more of the child-rearing responsibilities. Because this is the mother in many cases, custody decisions may end up favoring the mother. It’s important to point out that many other factors are considered by judges who are making custody decisions, so fathers should not be discouraged by this or think that they don’t have a chance at obtaining partial or full custody from the court. Q: What else does the judge consider when ruling on custody? There may be other factors that judges take into consideration with custody cases, so be sure to have a lawyer representing your best interests to ensure that your rights are fully advocated at every stage of the case. For some additional answers to frequently asked questions about child custody issues in Colorado, be sure to check out the upcoming second part of this blog. Since 1983, the Centennial divorce and family law attorneys at Bahr and Kreidle have been helping married couples dissolve their marriages and resolve child custody issues so they can focus on their future. If you need help with a divorce, child custody issues or with any family law matter, our Centennial divorce lawyers urge you to get more information about your rights by meeting with us for a free, no obligations initial consultation. To set up a meeting, call us at (303) 794-7422 or email us using the form on this page.